Poland renews nonaggression pact with the Soviet Union to protect against a German invasion. The Soviet Union charges Finland with artillery attack on border. The Western Desert Force, begins Training Exercise No.1. This was a dress rehearsal for ‘Operation Compass’. Surprise was vital and so not even the troops involved were told of the rehearsals significance. The half-million Jews of Warsaw, Poland, were forced by the Nazis to live within a walled ghetto. Britain announces that after Christmas, bananas will no longer be imported. Due to Rommel’s bold move, General Cunningham wants to halt the offensive and fall back to the frontier. General Auchinleck overrides him on this and replaces him as commander of the Eighth Army with General Ritchie. U.S. secretary of state puts his final proposal to the Japanese. Japanese 1st Air Fleet sets sail for Pearl Harbor, from its anchorage in the Kurile Islands. Commanded by Admiral Chuichi Nagumo, its consists of 6 aircraft carriers, 2 battleships, 3 cruisers, 9 destroyers and 8 oil tankers and has strict orders to observe strict radio silence. They await the signal “Climb Mount Nitaka”, the order to attack Pearl Harbor. President Roosevelt ordered nationwide gasoline rationing, beginning December 1. The Germans make the first large deportation of Jews from Norway. The Russians throw Germans rearguards back across the Don. The largest USAAF raid so far on Bremen. A fifth consecutive night raid on Berlin by RAF. German forces of Army Group Centre evacuate Gomel in Byelorussia. The HMT Rohna, a British troop transport, is attacked in the eastern Mediterranean by a Luftwaffe plane using a radio-guided bomb, sinking the ship and killing 1,015 American GIs and 135 British and Australian service men. It is the largest loss of U.S. servicemen at sea in the war. The disaster is kept secret, as the Allies did not wish to disclose that the Germans possessed such an intimidating weapon. Consequently, the destruction of the Rohna will remain virtually unknown to the public for many years after the war. The Russians advance in Slovakia. 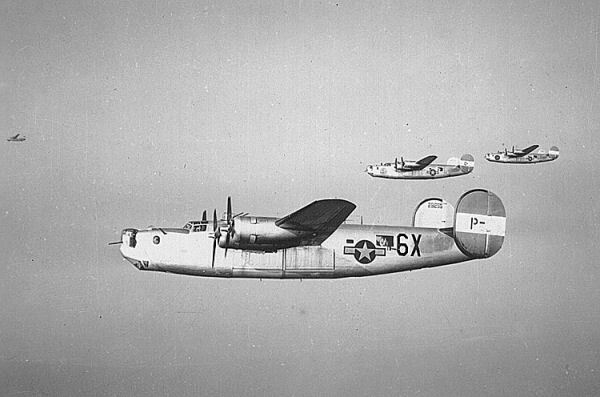 US 491st Bombardment Group loses 16 of 28 B-24 Liberators over Misburg, Germany in only 15 minutes. Gen. Douglas MacArthur confirms that Japan’s emperor will not be required to abdicate.